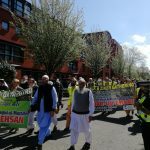 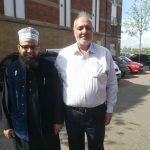 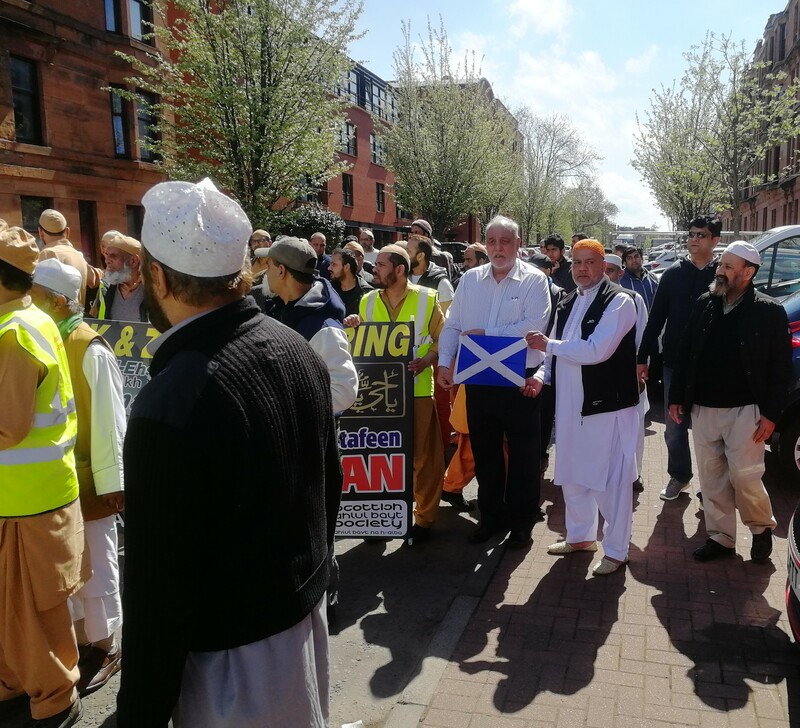 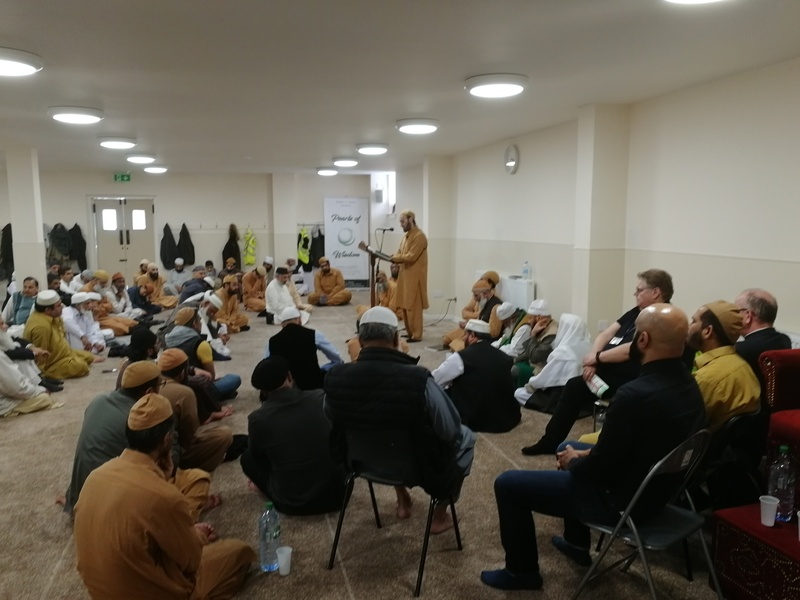 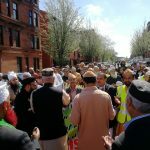 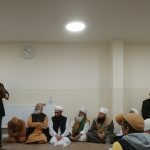 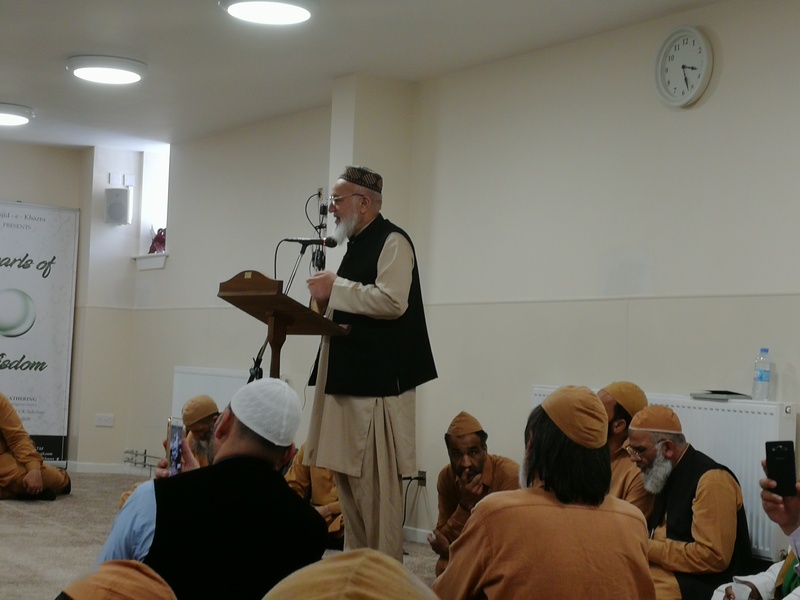 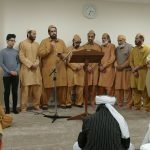 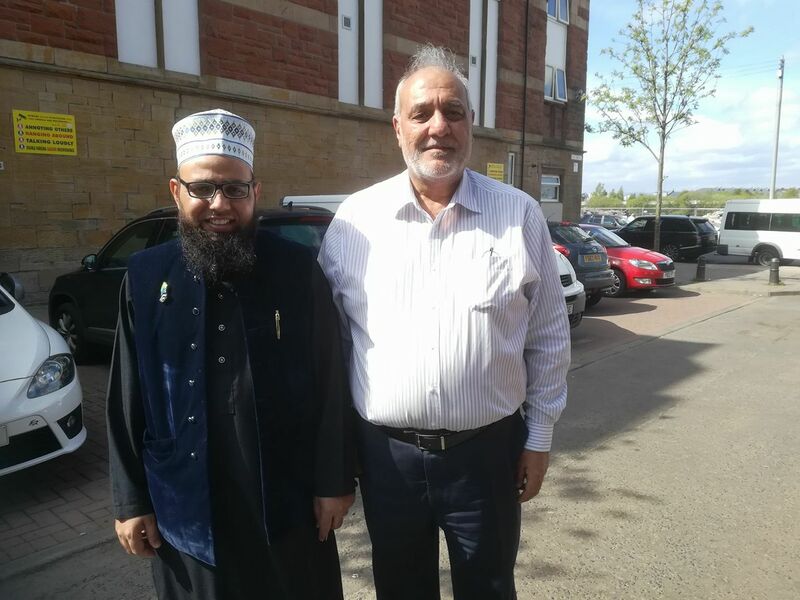 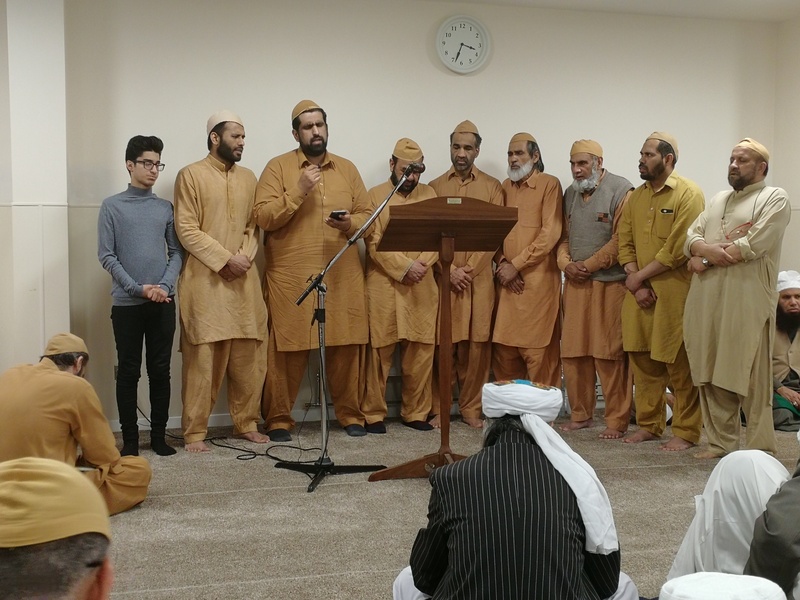 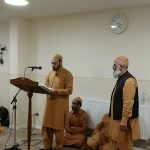 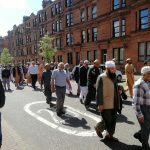 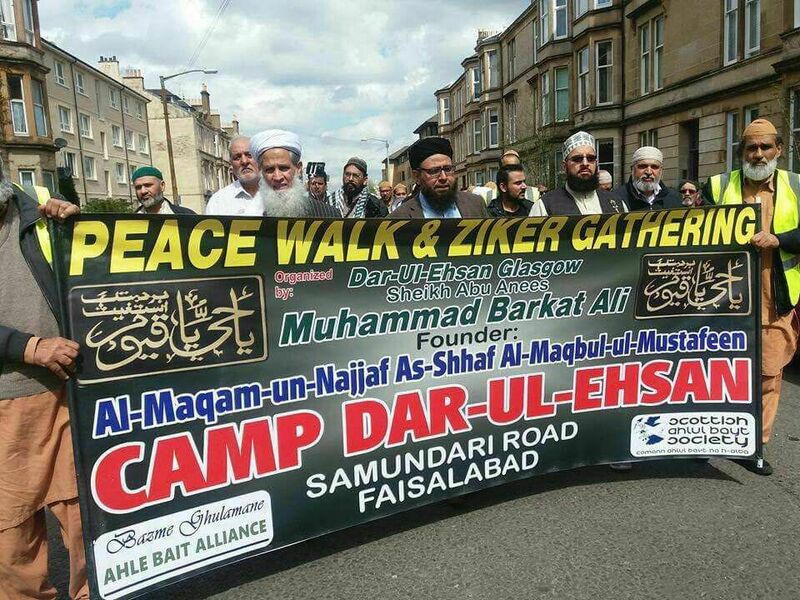 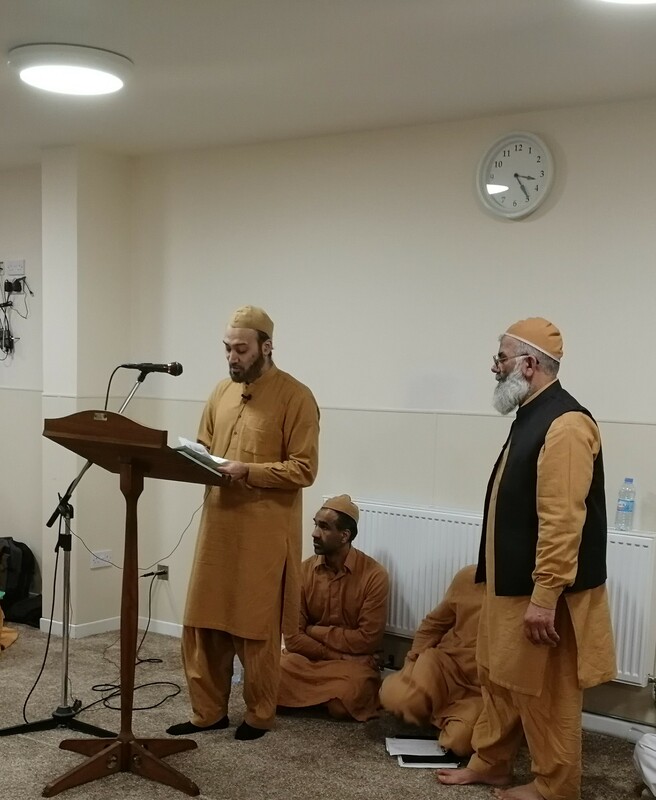 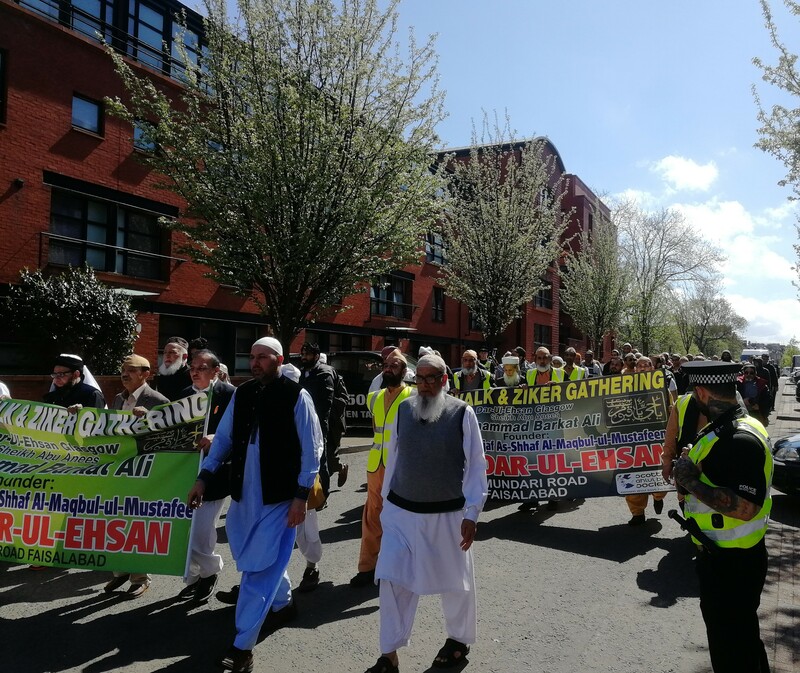 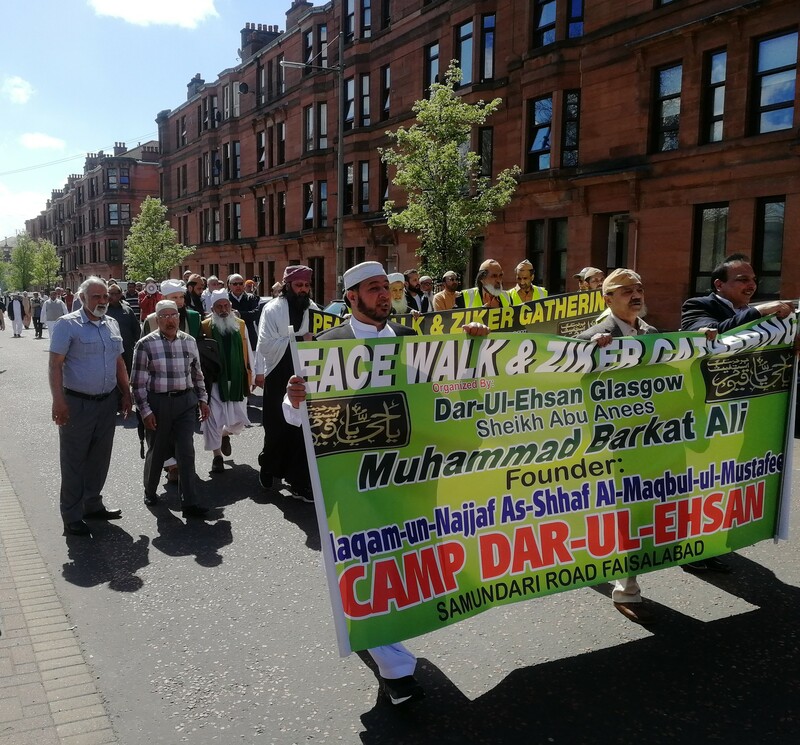 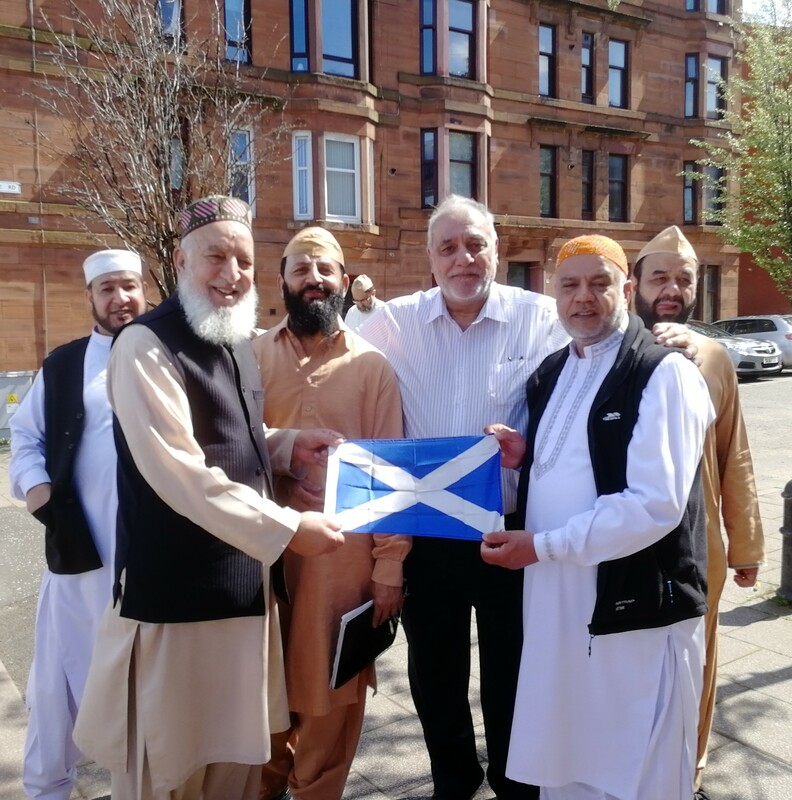 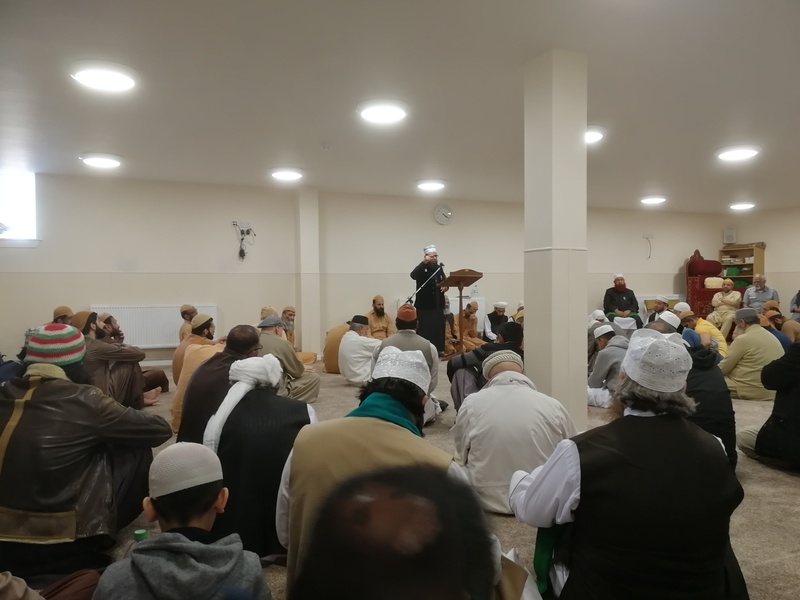 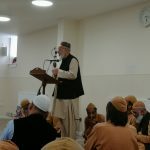 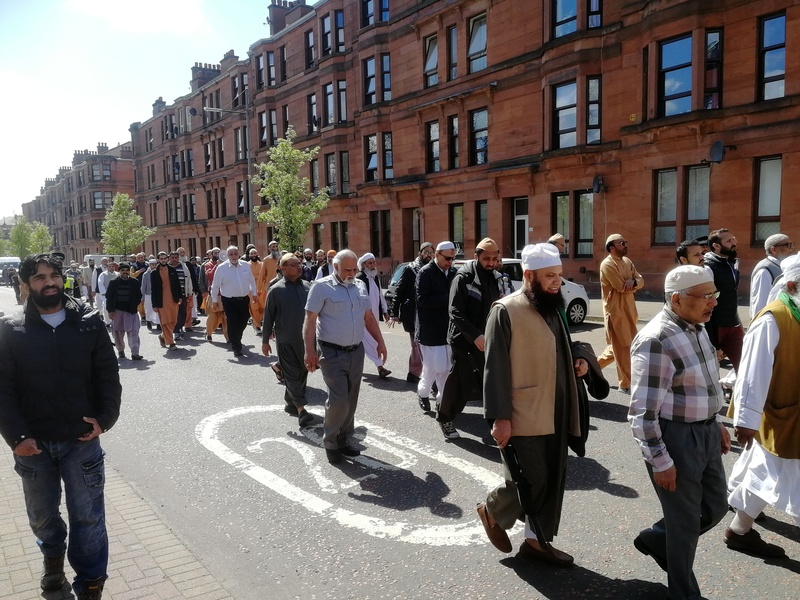 We were pleased to have been a part of the Third Annual Peace Walk and Dhikr gathering in Glasgow, with our partners and the Walk’s organisers, Syed Mohammed Suqlain Shah of Khadman-e-Dar-ul-Ehsan Scotland. 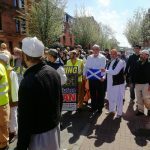 The procession has proven a historical moment for Scotland, and its Pakistani and sub-continental communities. 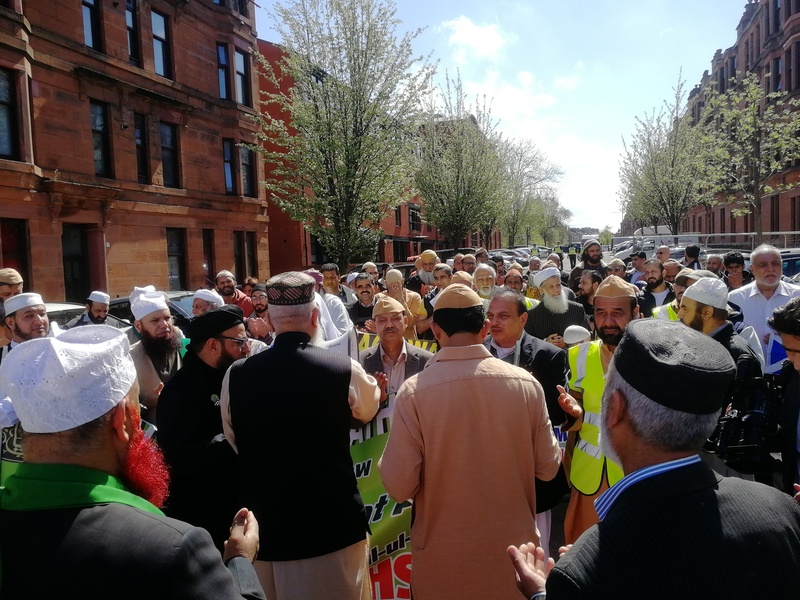 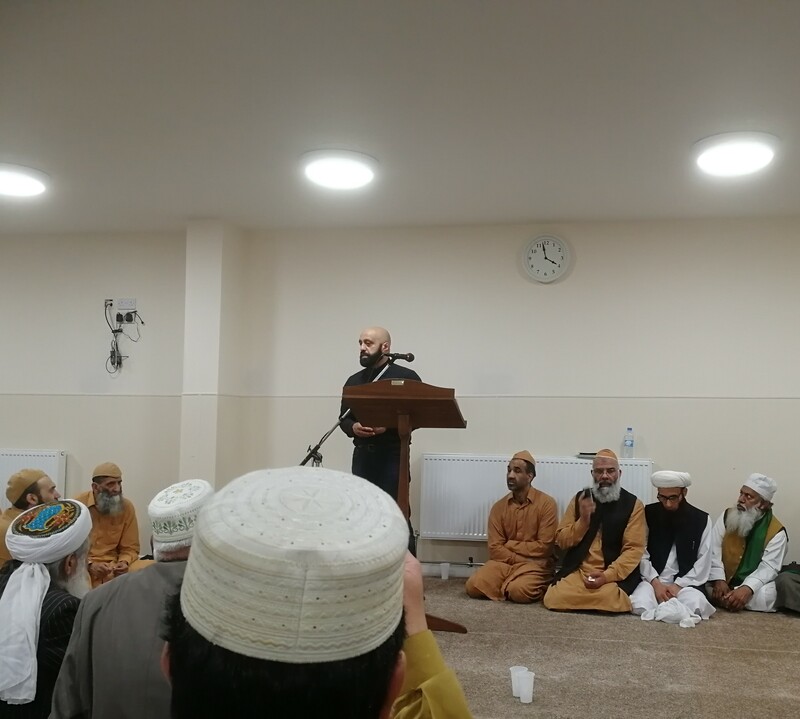 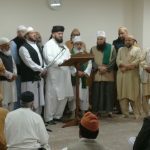 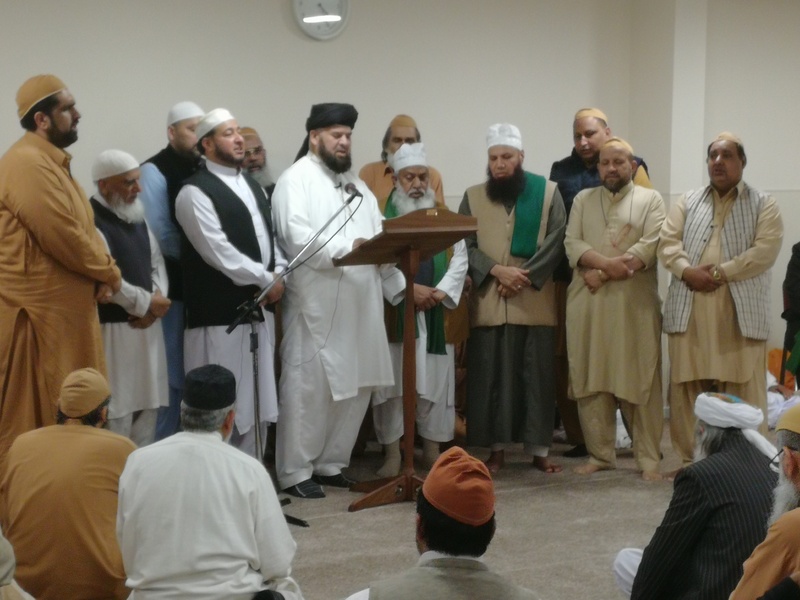 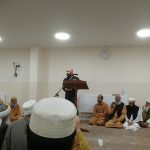 The walk and subsequent program highlighted Peace, and Interfaith/Intrafaith unity and involved esteemed guests from London, Birmingham and Manchester. 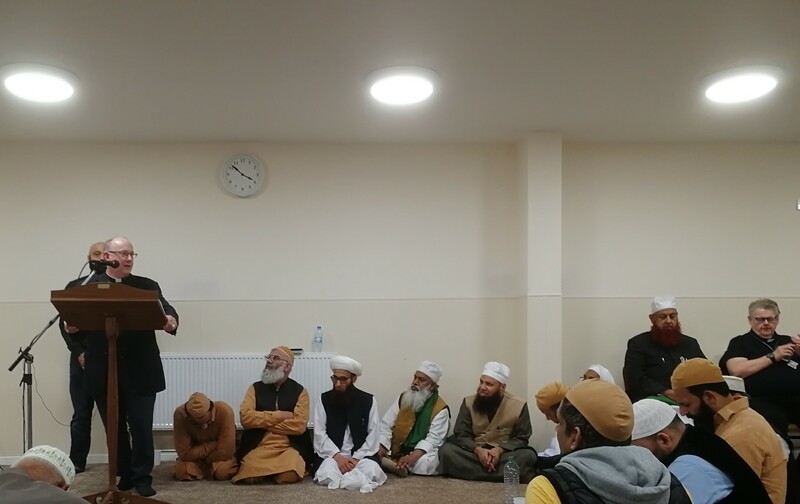 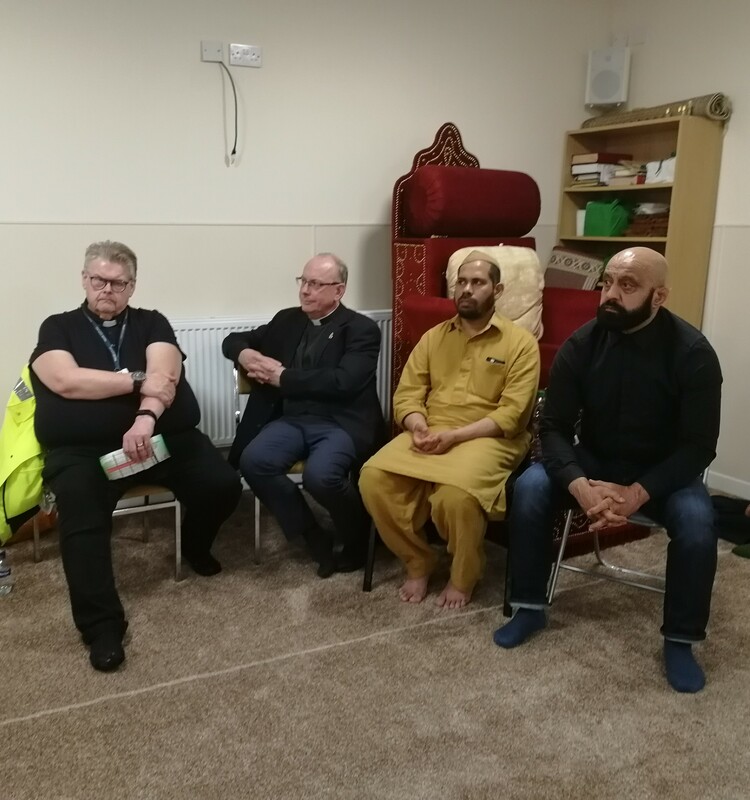 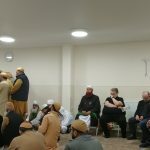 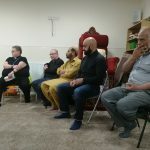 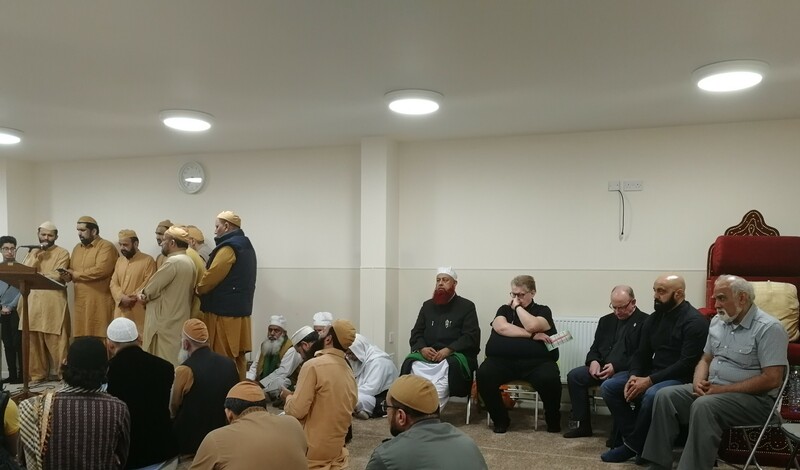 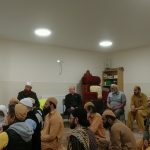 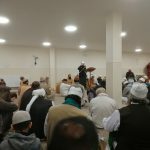 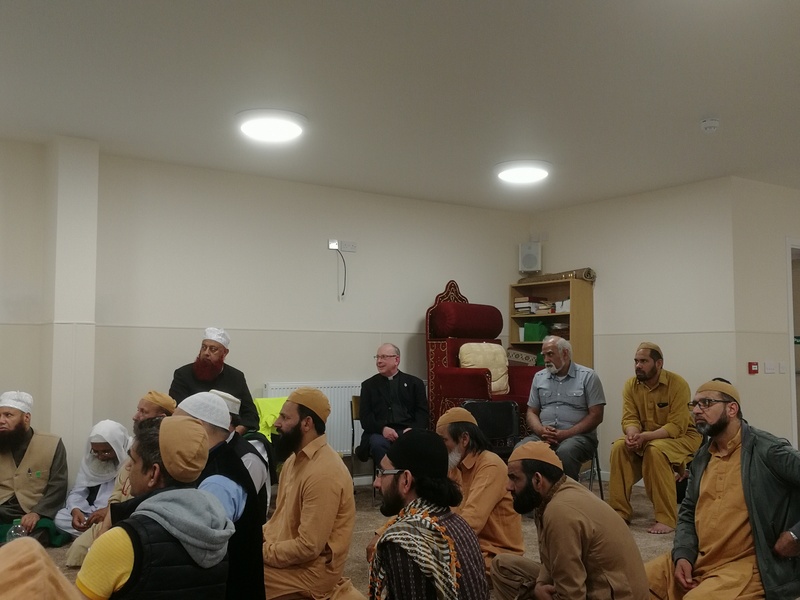 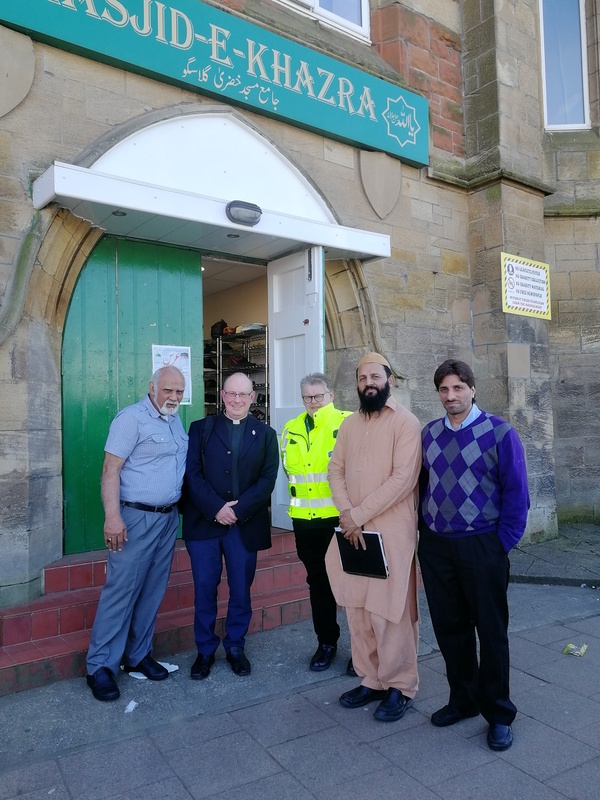 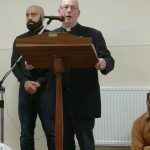 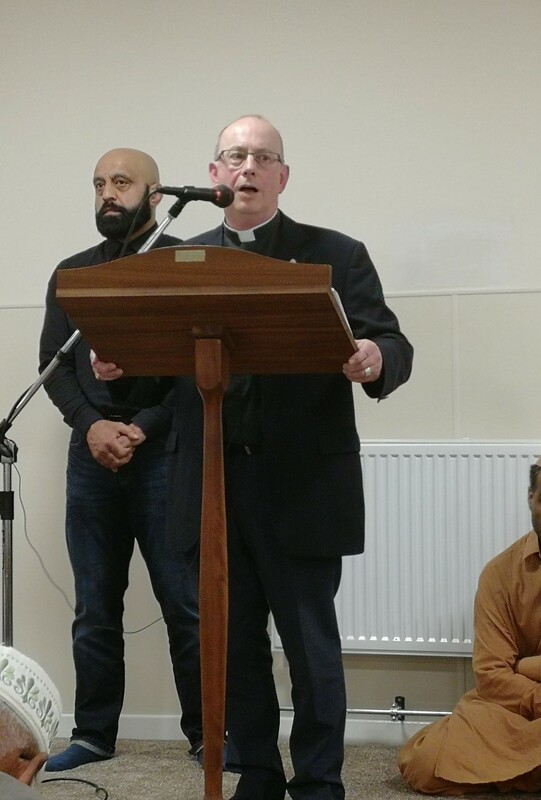 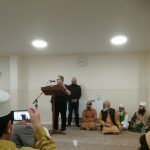 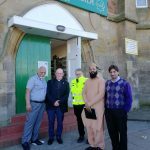 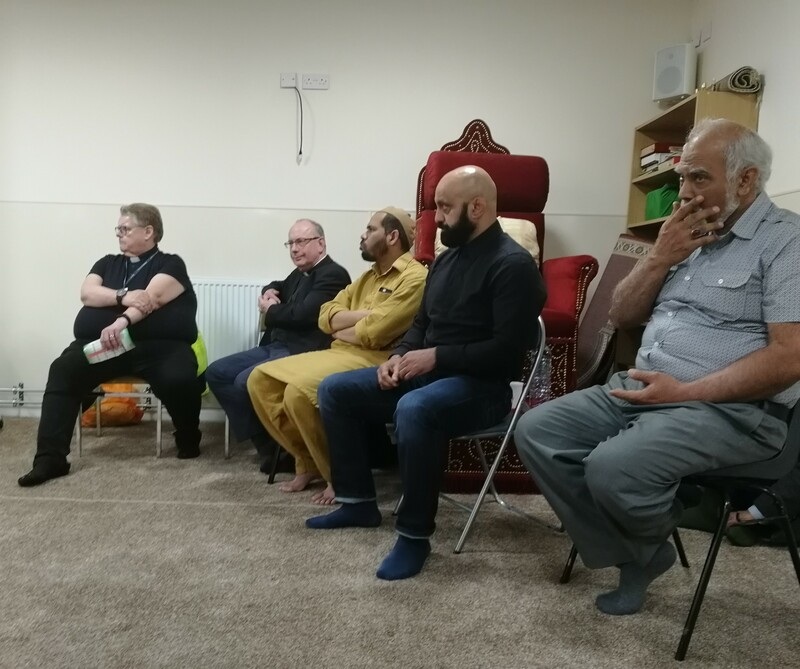 We are especially grateful to Rev Neil Galbraith, Parish Minister for Cathcart Old Parish Church, and the Rev Canon Cedric Blakey of the Scottish Episcopal Church for accepting our invitation to come along to speak at the Khazara Mosque after the walk.